Much of what we do in life is connected with events that inspire, encourage or propel us in a certain direction without us always being aware of what initially led us down a certain track. For me, travel has always been more than a whimsical journey. Each of the 106 countries that I have been fortunate enough to visit I have done so for a special reason that motivated me at that time; leading to unique experiences and my own incredible trip of a lifetime. 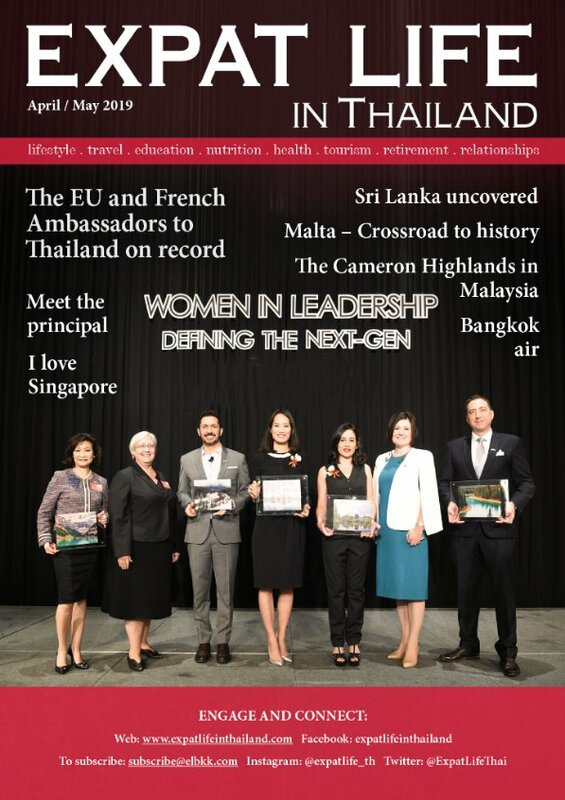 In March this year, Anita, a dear friend and wife of the Ambassador of Indonesia led me to the spectacular beauty of Bali, Solo and Yogyakarta as part of a trip she organised. 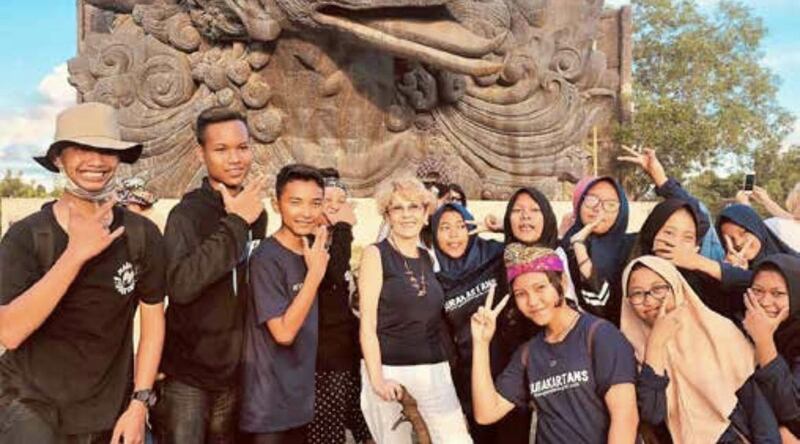 I had been to this wonderful country before, but this time the interesting group programmes opened up fascinating insights into Indonesia’s rich history and culture. Spectacular scenery with a landscape of mountains and jungles, Indonesia boasts mesmerising Hindu temples in the highlands, cultural beauty spots and interesting historical sites, dotted with villages each with their own individual character. 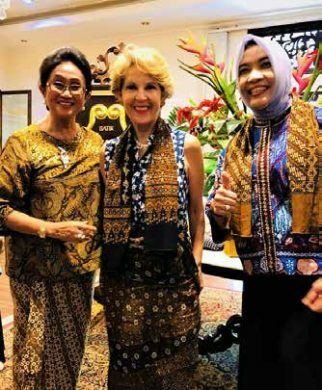 In Yogyakarta, Indonesia’s only region sill governed by a monarchy, we were welcomed at the Water Palace by Ratu Hemas, the Queen consort, wife of Sultan Hamengkubuwono X. During the Indonesian National Revolution in the 40s, when the country was struggling for independence, it was the Sultan’s father, who helped in that quest for freedom. The current Sultan brought an end of the Javanese royalty tradition of polygamy and I am sure his wife, had an input in that too! She has also made a real difference, actively promoting women in politics, and in 2004 she became a Senator for the Yogyakarta Special Region as an independent candidate. It was inspiring to chat with her and her youngest daughter. 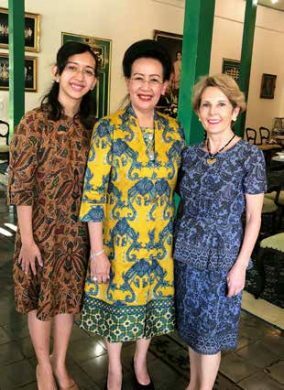 Princess Bendara is one of five royal sisters who have all returned to Yogyakarta armed with an international education to give back to their homeland, working on projects that promote progress and tourism, empower women and the youth of Indonesia. 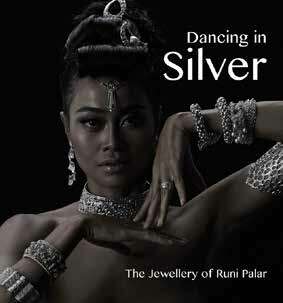 In the artsy district of Ubud, in Bali, we visited Runa Jewellery House of Design and Museum to marvel at the beauty of the Dancing in Silver collection; celebrating 25 years of jewellery pieces by renowned designer Runi Palar. Her husband Adrian was the architect of the house and museum. The creative craftswoman ship along with the views of paddy fields and the gorgeously furnished house create a sense of harmony that we all enjoyed. 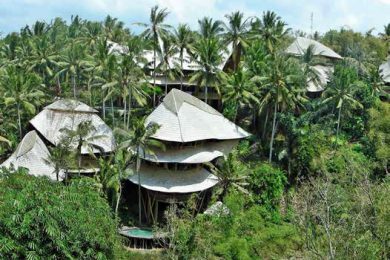 The green bamboo village and school in Ubud is an amazing example of what following your dreams can achieve. A village of indigenous bamboo houses and a bamboo school that promotes sustainability and green living, this is a vision of designers John Hardy and his wife Cynthia. The world’s largest Buddhist temple. Indonesia is home to some breathtaking sites and our visit to the 9th century Borobudur Buddhist Temple in Central Java as the sun was setting was nothing short of magnificent. Climbing to the top of the world’s largest Buddhist temple, our party was met by Admiral I Gusti Ngurah who hosted a traditional dinner whilst revealing the temple’s history. The Admiral also regaled us with adventure stories from when he captained an expedition along the Cinnamon Route which in years gone by took shipping vessels laden with spices from Indonesia across the Indian Ocean to Africa. The Admiral navigated this ancient route in a replica of a wooden sailing boat created from a relief at the temple, the ship is now harboured at the Museum. His seven month journey was steered with Indonesia’s cultural heritage at its heart. What a tale! In Solo, in Java, the beautiful rooms of artistic pieces at Danar Hadi Batik bring to life the history of people of Indonesia, we enjoyed browsing and shopping at the historical house. 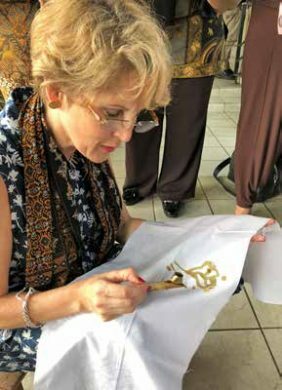 Meanwhile, at ApipBatik, in Yogyakarta, we had a fun Batik workshop, it was very difficult to apply the hot wax with the traditional Javanese tjanting, we embraced the experience and took home a unique memento or my fantastic trip. Our journey to Indonesia led us to a spirit enriching, cultural adventure that we all enjoyed. Today, I just returned from Iran it was the most surprising, enchanting trip ever. I cannot wait to share my experiences with you next time.